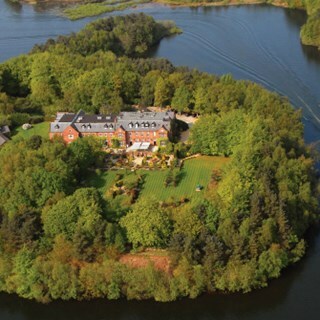 The award winning Crystal Restaurant is situated within Nunsmere Hall; a classic English country house hotel in the heart of the Cheshire countryside and bound on three sides by a magnificent 60-acre lake. The restaurant enjoys wonderful views of the gardens which provide a stunning back drop for you to enjoy your fine dining experience. 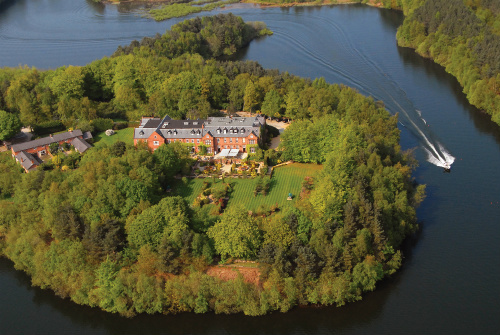 Our chefs work with a strong emphasis on using fresh, local Cheshire foods – so you will understand why Nunsmere Hall has been awarded four red stars and two rosettes. Whether it’s dinner out or an extra special occasion, a visit to Nunsmere Hall will not disappoint, we aim to exceed your expectations and we can’t wait to welcome you. had a great Sunday lunch here. Staff were very helpful, food was well cooked and warm. Would go back again. The only negative which is minor was the chocolate tart came with chocolate mousse and not mint Choc chip ice cream as described. My partner would have selected an alternative had he been aware only because he’s not a great fan of too much chocolate, but having said that, he ate all the chocolate tart. Would highly recommend the afternoon tea. Lovely fresh sandwiches, scones and cakes. excellent food, superb quality, good service from all staff. Shockingly bad. The music kept going off which meant we were sat in silence most of the time. There were no explanations when we sat down what the cakes or sandwiches were. The treacle cake was burnt underneath and inedible. The lemon meringue pie had terribly over worked pastry and was almost inedible. We waited 25 minutes to see anyone and my fiance even went looking for someone across the entire ground floor and couldn't see anyone so we ended up walking out. We were planning our wedding there and are now thoroughly put off. I have since checked the reviews for the afternoon tea and can see that our experience was not a one off. Its a shame as it is a beautiful venue and soo close to where we live. The only positive experience was when we arrived. The lady who greeted us was lovely and very professional. Sadly it went down hill very quickly from there. Looking for something different, I found it at Nunsmere Hall Hotel. I wen with my wife and two very good friends to celebrate my birthday. We were not disappointed. From stepping in through the doors to leaving we were impressed by the friendliness and warm welcoming by the staff. Food was excellent - complements to the chef and his/her team. Service was impeccable and we were not rushed at all. Thoroughly enjoyed the evening and travelling all the way from a Lilleshall in Shropshire (a round trip of about eighty miles) seems worth it. P.S. take note of my correct name. Staff excellent very accommodating and friendly. Nothing was too much trouble. 1st room very cold but staff moved us. All of the food we had during our recent visit was excellent. They even cooked the poached eggs to perfection! The afternoon tea was beautiful. Well presented and with excellent service. Lovely place the visit. Excellent staff, friendly, helpful and professional. We would definitely visit again. Beautiful country hotel and amazing food. Thankyou for such a wonderful meal. The food, atmosphere and service was absolutely excellent. Everything was supurb as expected. Wonderful nite, food amazing and excellent service will be booking again very soon. We just love Nunsmere Hall and stay as often as we can, when we do we alway eat at the Crystal Restaurant, without fail, they always look after us. On this most recent visit, Josh remembered I was vegetarian and suggested that if I wasn’t happy with the option on the menu he would see if the chef could do me something else which he did, it was fantastic! The food is amazing! Well presented and tastes fantastic! The staff are so friendly and can’t do enough for you, wonderful service! We just love the place! All 3 courses for dinner were excellent and had loads of flavour. Unfortunately the breakfast, although adequate, didn’t live up to the same quality. Visited with three friends and stayed in the hotel for one night. Both the evening meal and breakfast were excellent and the staff were very attentive and helpful. Presentation was good and the dining room and bar were very welcoming. Thank you. We will return.